Basketball is already part of Runner Rocky's sports. And it's great to be part of the different basketball events wherein yours truly already played, mingled, and interviewed the well-known basketball icons both local and international. This time, four of the known names in basketball namely the SKLZ, BEST, Chris Sports, and MILO joined forces in bringing us again the so-called SBP Passerelle Twin Tournament. And it's good to know that Runner Rocky already worked with these four names in the field of sports in the past events. The Small Basketeers of the Philippines (SBP)-Passerelle Twin Tournament, the country’s most prestigious interschool basketball competition for kids, is back for its 31st season! Defending their championship title in the SBP division will be La Salle Greenhills while Adamson University will be back to re-claim their Passerelle championship title. The 2016 tourney will open on July 24 at the Fr. Rafael Cortina Gym in Xavier School, Greenhills, San Juan. This will be followed by elimination games in NCR, Luzon, Visayas and Mindanao to determine which teams qualify for the regional championships. The best teams from each region will battle it out at the national finals. 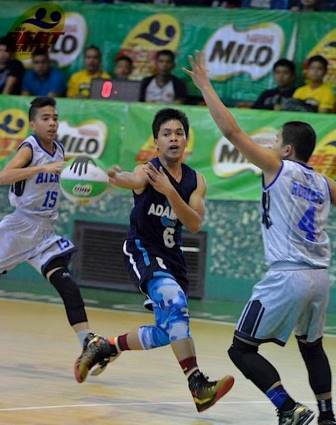 Tentative schedules of the regional playoffs will be October 21-24 in Davao City for Mindanao, November 4-7 in Baguio City for Luzon, and November 18-21 in Roxas City for Visayas. Over 600 players from more than 150 schools nationwide are expected to join the competition. School teams participating in the SBP division (9-11 year old kids) in the NCR will include Ateneo de Manila University, De La Salle Santiago Zobel School, De La Salle Greenhills and Xavier School. Joining the Passerelle (12-14 year olds) division, meanwhile, will be Adamson University, Ateneo de Manila University, De La Salle Santiago Zobel School, De La Salle Greenhills, San Beda College and University of Santo Tomas. Organized by the Basketball Efficiency and Scientific Training (BEST) Center, the country’s premiere sports clinic, and supported by MILO in cooperation with Chris Sports and SKLZ, the SBP-Passerelle Twin Tournament provides a venue for young cagers to apply what they learned from basketball trainings and showcase their skills. Some of the national basketball stars who started their career in SBP-Passerelle include Chris Tiu, JV Casio, Larry Fonacier, LA Tenorio, Kobe Paras, Kiefer Ravena, and Mark and Mike Nieto.